Nikken offers an innovative line of products along with entrepreneurship opportunities that can propel anyone toward a life grounded in these 5 Pillars of Health®. Entrepreneurship can be intimidating, but when you work with us, you become part of a collective effort, and that’s what makes our network strong. You will have access to a mentor, and you can mentor. Your success will depend on your hard work, but we will give you the tools to make that hard work profitable. You will have access to calls and webinars that will inform you, educate you, and inspire you. When you sign up, you will have a personal web page (PWP) that includes a web shop. You will have the opportunity to travel, connect with your peers, and get in-depth training. Welcome to the Nikken Family! Today you begin a journey that has the potential to transform your life. This information represents the collective wisdom of the most successful people in Nikken and is designed to help you begin in the most efficient and effective way possible. Our goal is to get you up and running FAST and built to LAST! Be your own best customer and let our technologies “work” for you. Order Nikken Active Wellness Products that address your own immediate interests and needs, protect your home environment, and begin using Nikken nutrition and skincare products. Show “The Nikken Advantage” to those you identify as having a need our business can meet. Use the F.O.R.M. method. Ask them about their Family- Occupation- Recreation- Money to find out what their needs are and demonstrate how we can meet them. Help them become a Wellness Consultant or a Customer. Be your OWN BEST CUSTOMER: Use the Nikken products and share the benefits. cannot sponsor or receive “cash back” or bonuses. Nikken, Inc. handles all common business concerns and products go directly to your customers. Nikken, Inc. pays you every time they order. Teach 3 to Reach 3 is our process. The first step is to develop your own retail business of least 500 Points each month. The next step: Find three business partners and help them develop their own 500 Points each month. 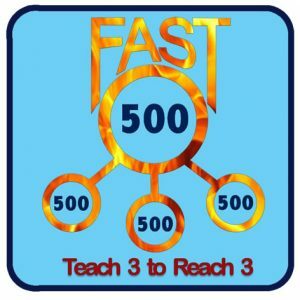 When you accomplish this important achievement, we want to recognize this foundational activity by awarding you the “FAST 500 Patch”. Continuing to teach everyone to qualify for a patch is the key to a successful Nikken business, and creating volumes that will take you to Executive, and on to Silver and beyond! FACT: Your personal 500PV per month added to your 3 consultants with 500PV would make you Silver in 90 days or less! Keep it simple and fun, therefore duplicable! 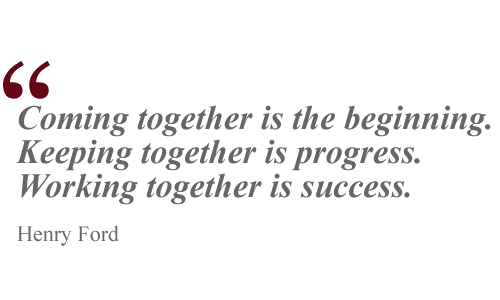 We are so excited to have you as a team member and want to help you succeed. Give me a call and introduce yourself! Repeat anything often enough and it will start to become you! PiMag Water Technology begins with a high-tech, multi-stage filtration system based on natural materials to clean water without chemicals. It adds Nikken magnetic technology and ceramic elements that impart minerals to produce pi water, a water that functions like the water in your body. The result is a unique water system that is environmentally sound, cost-effective and more practical than commercially bottled water. Kenko Sleep Technology uses a combination of features that work together to enable better sleep and assist the processes of physical and mental recharging. It includes magnetic energy, a massaging surface, far-infrared fibers, and more to address factors such as support and temperature regulation which are crucial to enjoying a healthy and restorative sleep. Nikken magnetic products make use of static magnets for safety and reliability. Nikken products such as the Kenko Sleep System incorporate bipole magnets to produce a pattern of magnetic flow that creates a landscape of peaks and valleys of magnetic energy. The Kenko PowerChip introduced DynaFlux Magnetic Technology, with a unique system that increases field depth. Nikken believes that the best way to take care of your nutritional needs, is the natural way. So we created the first complete program based on organic ingredients. These can fill the nutritional gaps in your daily diet, and help you eat right. Organic-Based Nutrition means that all ingredients are carefully chosen, and the organic content is maximized. Nikken Wellness nutrition was founded on a whole-food philosophy. Easy start-up with direct support.